Well better late than never, please excuse my lack of posts ..been busy , busy and then someone decided it would be lovely to give me a horrible cold and for Lucy's scarlet fever , which we thought had gone, to come back! 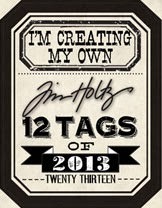 Anyway , enough ...here is my take on Tim's tag for April..all the details of his tag can been seen here . 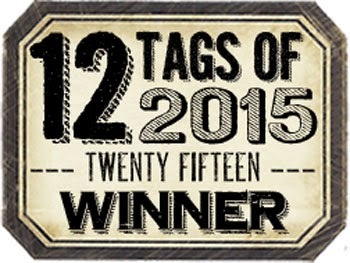 So here is may take, and you know me , firmly in the neutral! 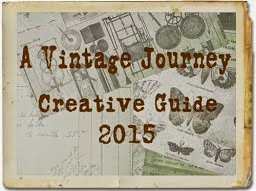 I followed all of the steps...adding a few touches of my own and also changing to my much loved neutrals.. I scuffed up my edges of the image and also watercoloured without adding pen direct as I like this softer approach..but loved the addition of the pumice stone as I have always used old paper and loved the look the soft grey gave. I also added some rub ons and no stitching.. opting for little kisses of staples instead .. Some rusty wire...adding to the rustic and neutral feel..and the seam binding I had dyed with stains ans crinkled..
Well hope you like my take on Tim's tag ...made it to add in here by the skin of my teeth..
Well it is my turn over at A Vintage Journey today to have the #3 post for the Destination Inspiration posts, these have taken on a new look and now each week of the month one of the team uses the same recipe and provides some inspiration , using that recipe. ...I used two small canvas and joined them together to create a hinged piece, allowing me to design on the inside and the outside of the two pieces..so plenty of space to play! I got so carried away that I am afraid there are no step x step photos! I used some mdf for the base but after seeing Andy Skinner's demos from CHA had to try foam board and see what it was like so the raised pieces top and bottom are foamboard...love how it takes the layers of paints and gives great dimension. 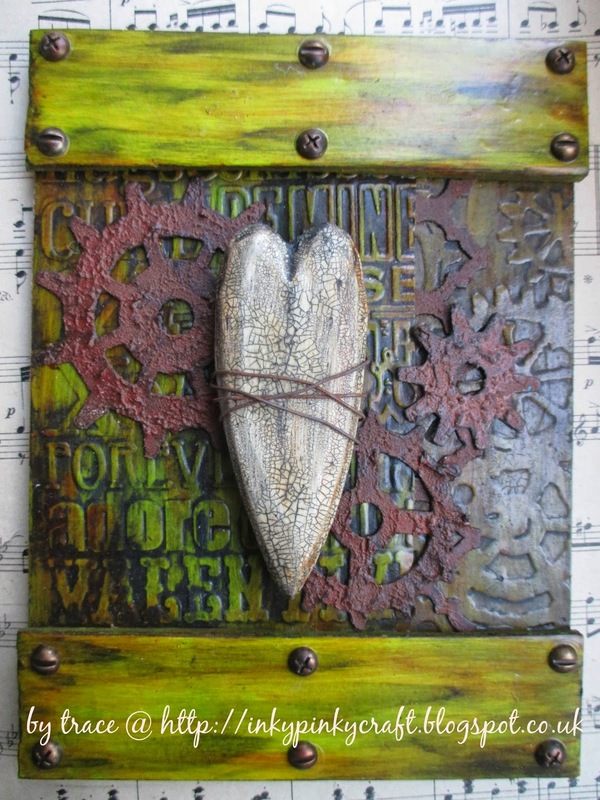 i made various embossed and crackled pieces and plenty of rusty gears as well as crackling a wooden heart and using various decoart paints and products to create this piece . 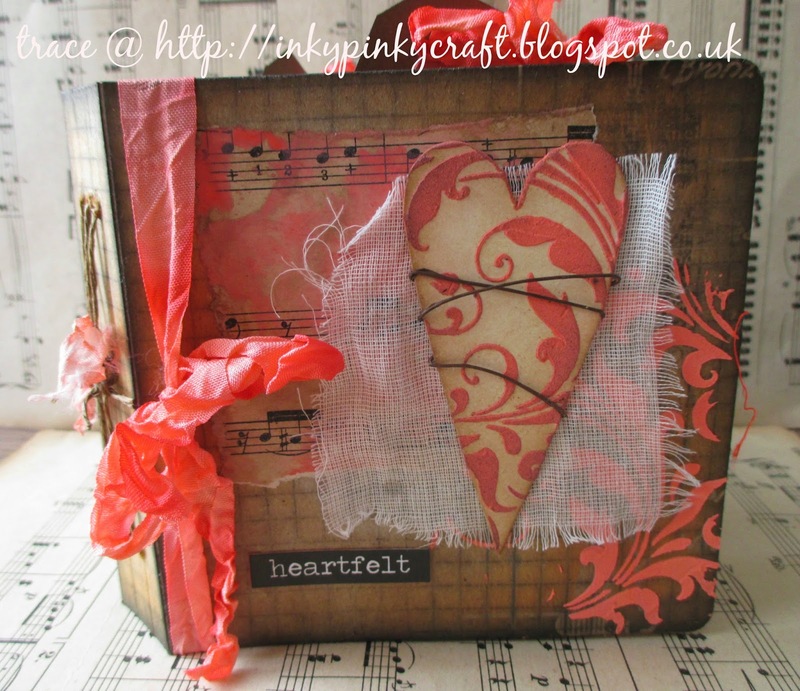 I loved how well the wooden heart was altered with simple layers of products to create something that was more pleasing, well to my eye at least! Well hope you like my dabbling playtime, still plenty more to learn and play with but I think I am fairly happy with the results for start! 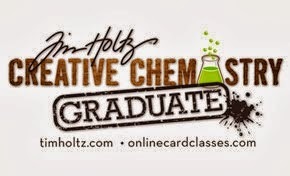 keep those fingers inky and painty! I created the drippy background using distress paints and some homemade sprays using mini mister bottles and distress re - inkers. 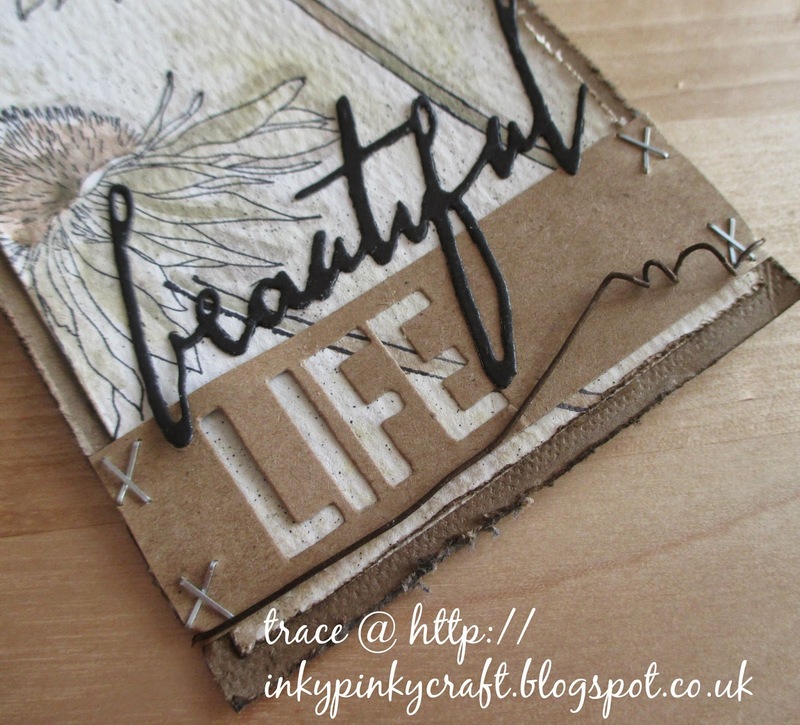 The next layer was created using a tag, embossed and then painted using the decoart media range of paints, the cool thing about layering these is the chance to play with transparent colours allowing great layering. I then added some crackle glaze and when dry rubbed paint into the crackles. Then it was time to layer up the card, I added some stamping using one of Andy Skinners new stamps...love this circuit board...which I stamped in paint...just make sure you clean off your stamp fairly quickly. i die cut, painted and crackled a heart which then had a coat of decoart antiquing cream painted on and rubbed off highlighting the crackles. 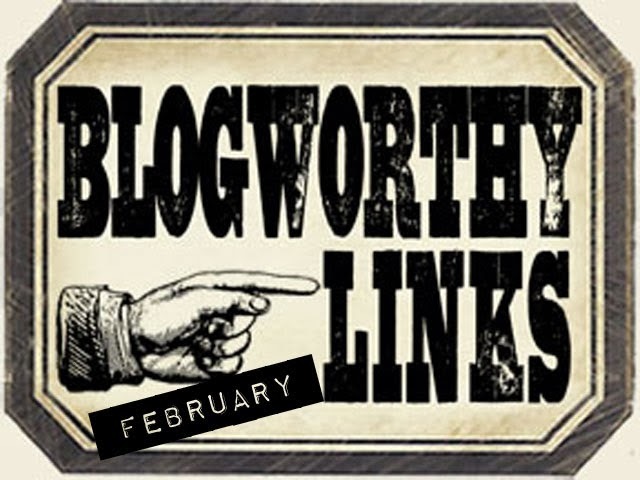 I added some rusty wire and plenty of my favourite pieces of idea-ology for good measure . 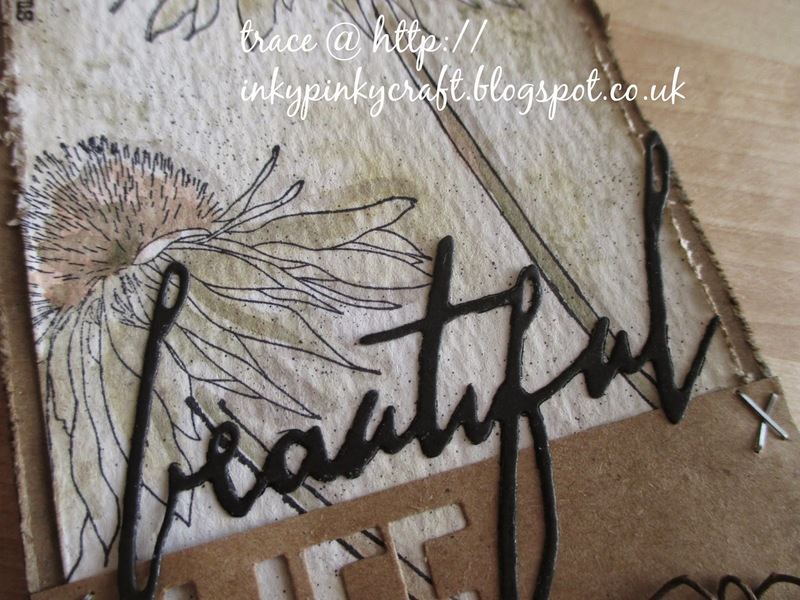 Finally I added some stencilled detail using Andy Skinner's have your say stencil using paint. 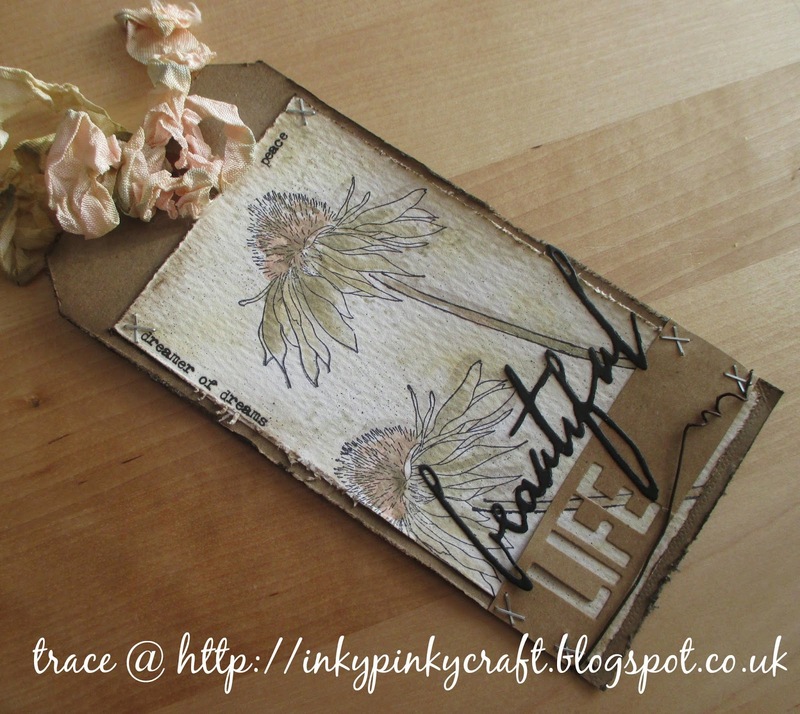 So there you have it , my decoart dabble meets distress playtime..and I made a card! 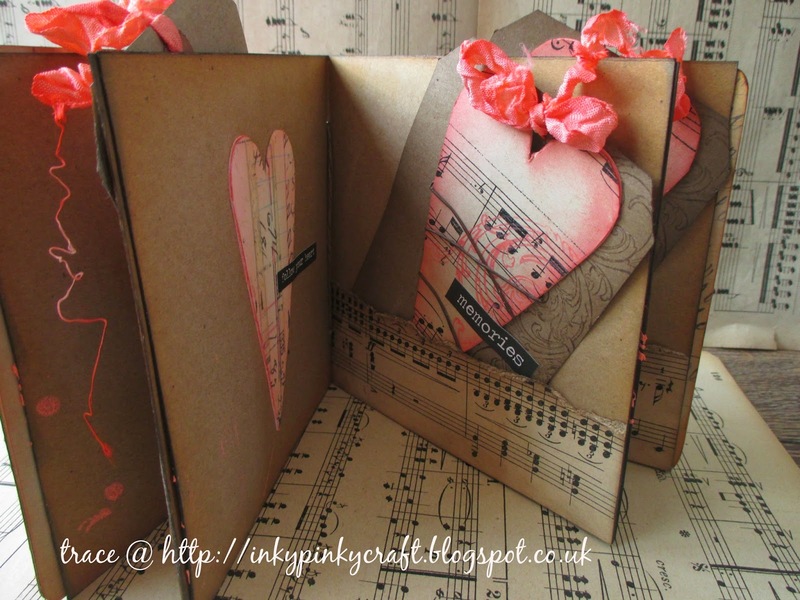 Well today I am back with my second piece for the 'Use Kraft Card' over at Country View Crafts challenges. 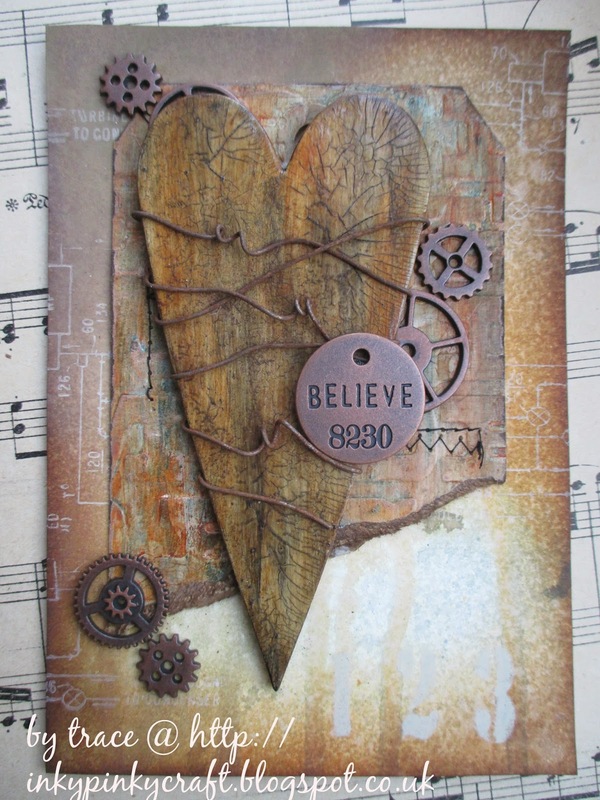 This time I have again used Tim Holtz kraft resist paper stack and this time created a mini book using an Eileen Hull die , ready to be added to with heartfelt messages for that special someone. I started by cutting the pages from kraft resist stack and sticking them back to back to create three sets of pages inside... I die cut the covers from tick cardstock , covered in kraft resist. I would show you some step by step but my computer has disappeared them :( .. I inked the cover and then coloured some texture paste using abandoned coral distress paint and added to cover through the new flourish stencil from Tim Holtz. 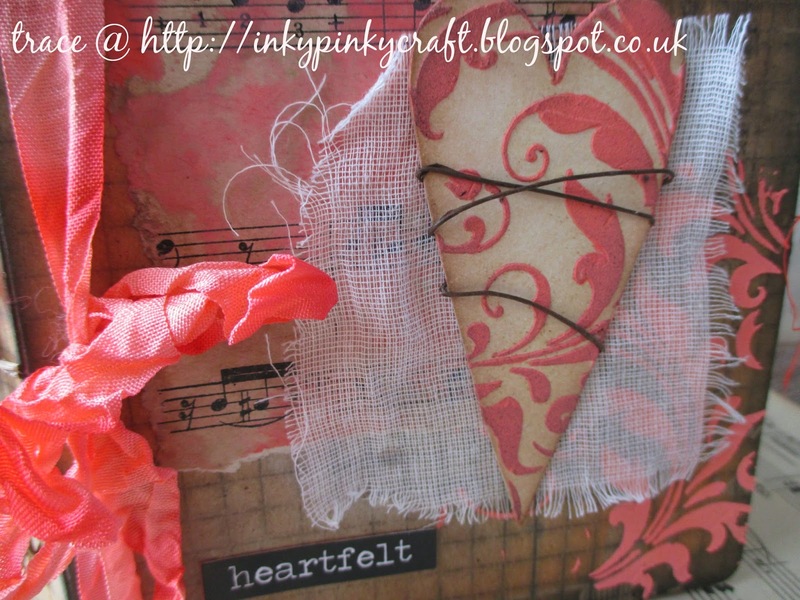 To complete the cover I added old music paper coloured with abandoned coral...dipping into it from craft sheet, a primitive heart..again more texture paste and that yummy flourish stencil, some muslin and finally some rusty wire to encase the heart . 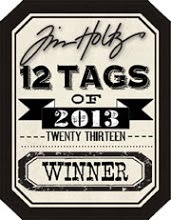 I added one of the new Tim Holtz stickers and chose black to contrast.. Inside I added some pockets and created tags that all have words on them , more inking and stencilling completes the tags and pages inside. These hearts have been inked and had tissue tape added . So hope you like my make and make sure you hop across to Countryviewcrafts challenges for more inspiration throughout the month...and a whole month to join in the fun . 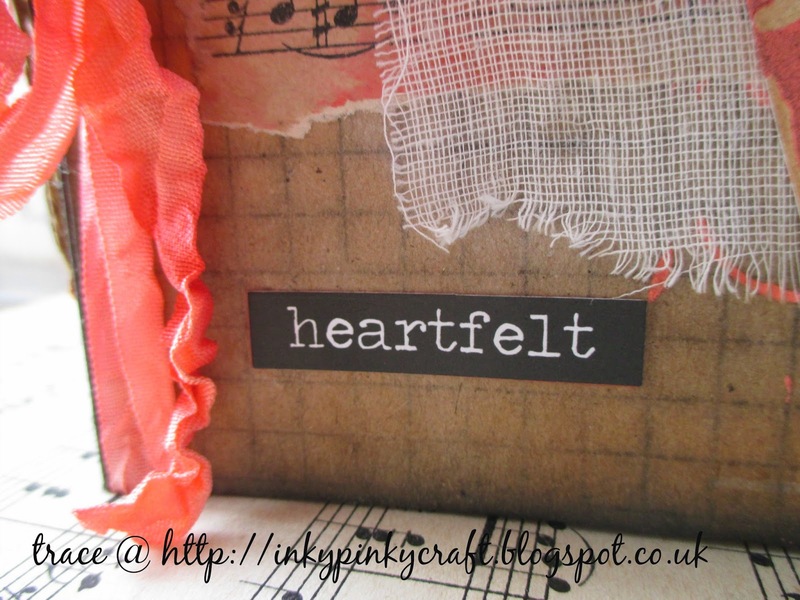 Well it is time for me to re-join my team mates over at Country View Crafts and the theme for this month is to use kraft card, I used kraft resist paper stack for my kraft card as I love all the textures and details on it . 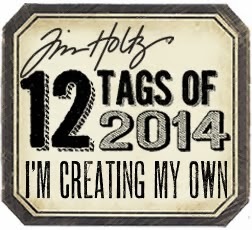 I used lots of Tim Holtz goodies, ephemera and photo booth cards. I also played with one of the new release distress colours Abandoned Coral.. The boxes were made using Eileen Hull dies and are becoming firm favourites! 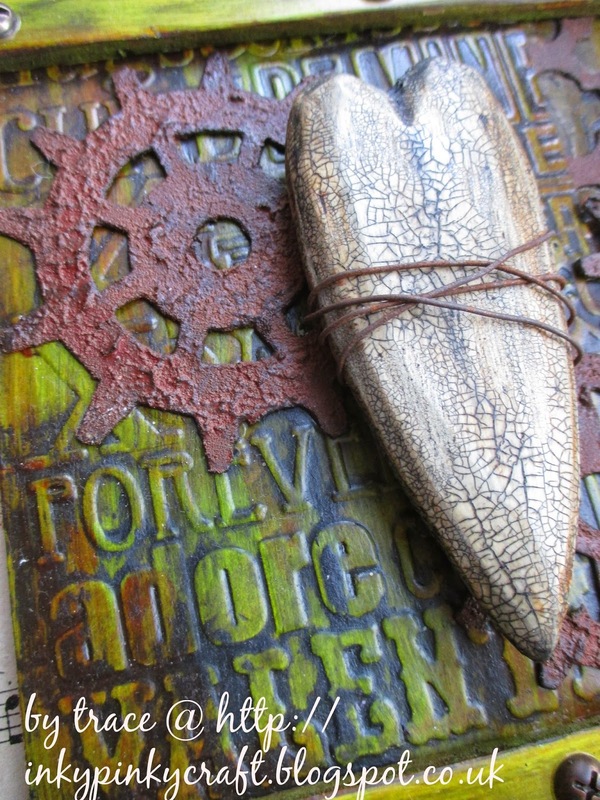 I also used the heart die from Tim Holtz , which has so many wonderful shaped and sized hearts perfect for any occasion. For the recipe box , I covered some thick card with kraft resist paper stack and then die cut the box.. I also die cut 5 recipe cards covered in kraft resist paper stack.... I then added lots of yummy layers . 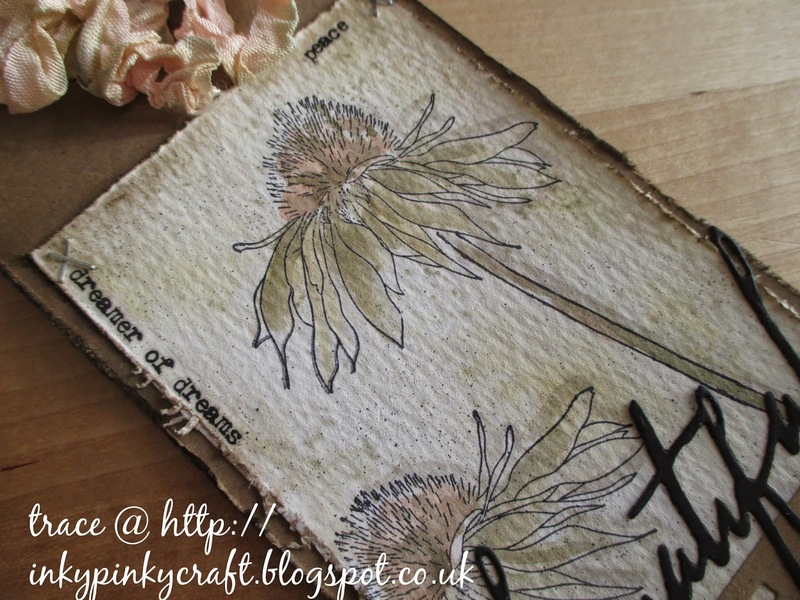 I used the plain side to cover the cards and then added torn strips of the kraft resist and printed side , I then added layers of tissue tape coloured with Abandoned Coral distress paint.. I used this for all the cards and then added ephemera and photo booth cards and idea-ology cards for the details see below. The box has the resist side of the kraft paper side up and again strips of coloured tissue tape added. To complete the box I added a piece of ephemera and a heart die cut using abandoned coral distress paint edged in walnut stain distress ink . I added a typed token to tie box shut dyed with same colour and added paint to the typed token. 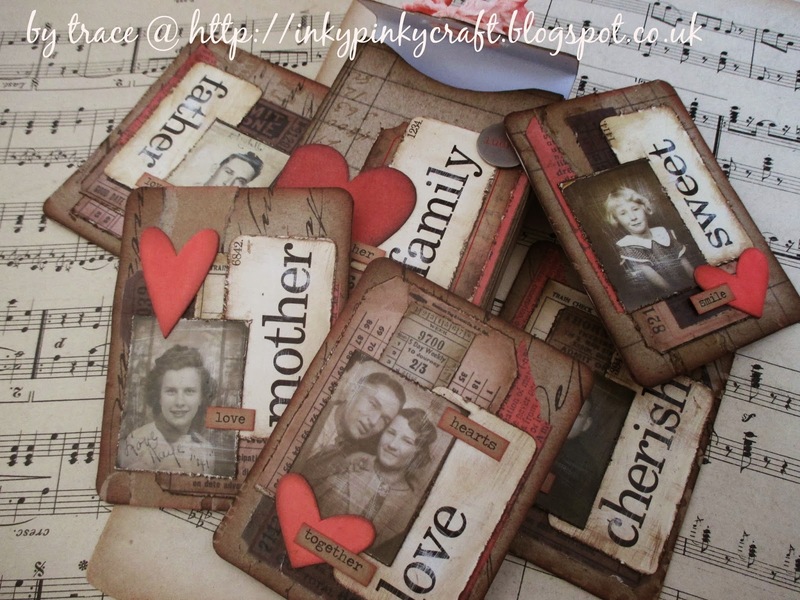 Here are the 5 cards...lots of ephemera ,abandoned coral, distressed pieces edged in walnut stain and some more hearts..and some kraft chit chat stickers . Here are the cards in detail...this is the little boy ..
And this lovely man .. the father..
Make sure you hop across here to see all my team mates gorgeous makes ...and remember you have a month to play along and could be picked to guest design or be lucky winner of a voucher to spend over at Country View Crafts.